For our second home cooking class we made peppermint creams, a classic recipe for involving children, and it was a good choice, they had loads of safe fun with no sharp knives or naked flames in sight! Most peppermint cream recipes involve condensed milk or egg in some form, but this one is totally dairy-free and as authentic and tasty as can be. They would make a great gift, or after dinner treat. – Place the sifted icing sugar in a large bowl. – Add the melted spread, peppermint extract and water and mix to form a soft (but not sticky) dough. If it’s too wet add more icing sugar, if too dry, add more water. – Knead lightly on a surface dusted with icing sugar. – Roll out to 1/2 – 1/4 cm thickness and cut out disc shapes with a cookie cutter. 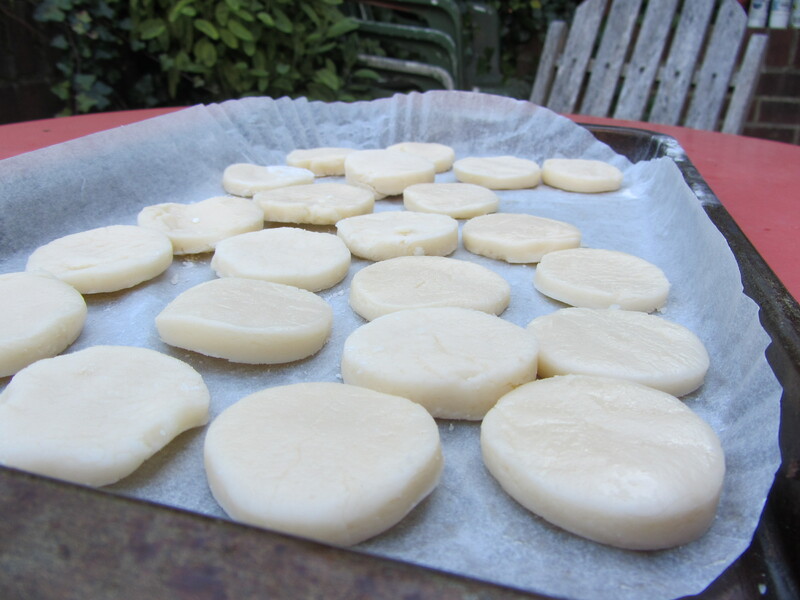 – Place on a lined baking sheet and leave overnight in a cool dry place to dry out. Make sure you turn them over so they dry on both sides. – Melt the chocolate in a microwave or over a bain marie. 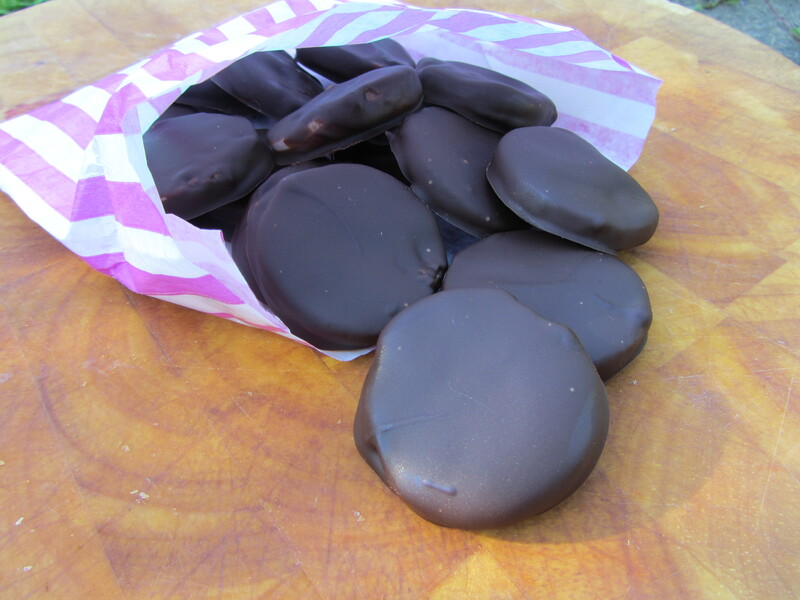 – Dip the dried peppermint patties in the melted chocolate, making sure they are well coated. – Place back on the lined baking sheet and leave to set in the fridge. 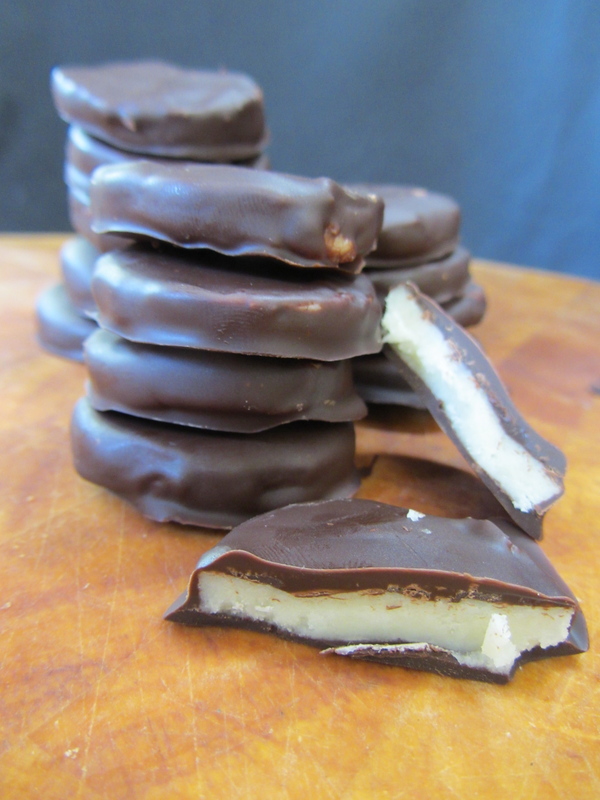 I love peppermint creams – never thought to make them though – maybe now I will! I can’t believe how easy this is. Yum! I hope you make some… Let me know how they turn out! It’s dangerous to get behind on catching up on your blog. I want to make everything and eat it NOW! I love peppermint creams, but the U.S. versions have dairy or egg. Only junior mints are dairy free, but they are full of high fructose corn syrup and hydrogenated oils. This is a way better alternative! Yum! 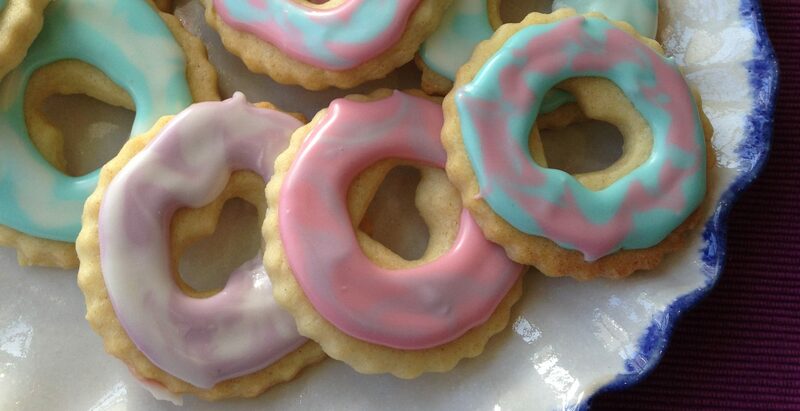 I have made a version with Ritz crackers, but these look much more like the York counterparts! Wow I need these right now!! Another sweet treat I can make that my little boy can have. He is dairy free and nut free, and I wouldnt want to put the egg in for a 3 year old. I swapped the marg for coconut oil to attempt to make it a healthy sweet. Thank you for this. is there a way to make them without any oil? I saw a recipe using Swerve confectioners sugar and can’t find the recipe. I am pretty sure there was no oil of any kind.